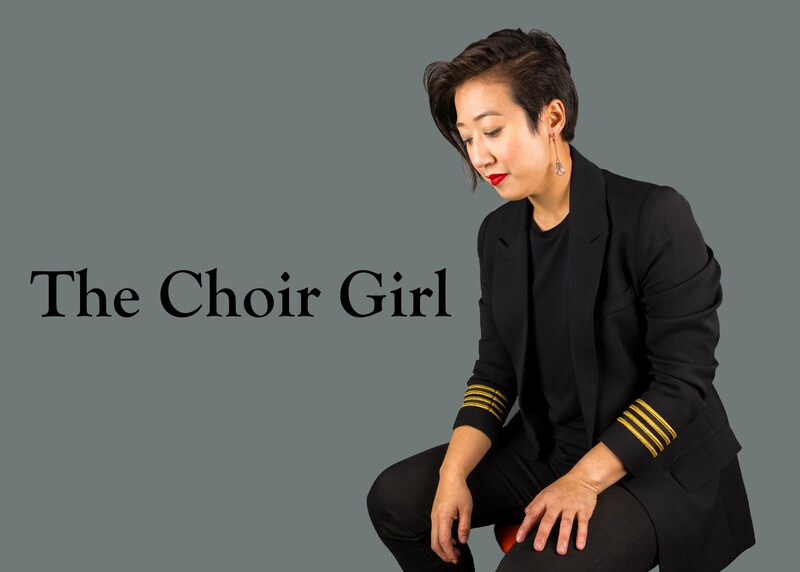 The Choir Girl: What Do Choristers Do? Lately, the internet has been filled with variants of these enlightening photo memes which attempt to educate the naïve public on the perspectives surrounding different roles in our society. Drawing from my own personal experiences, I’ve decided to construct my own. 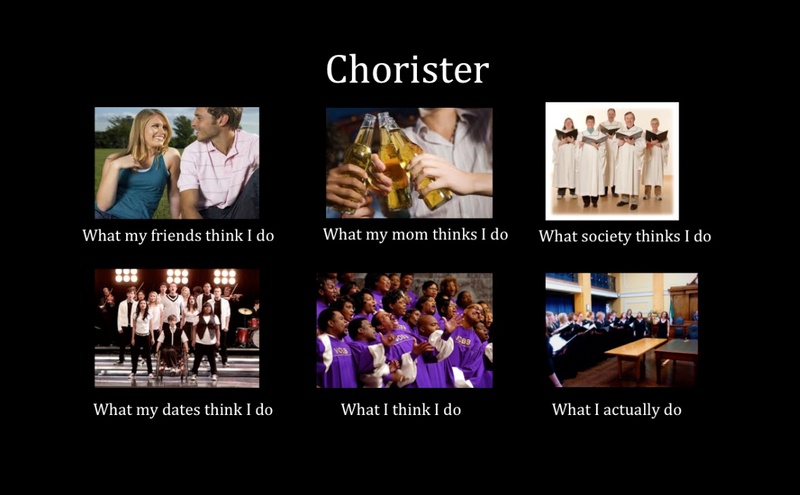 I will discuss the following six views and the multifaceted role of the chorister. I am sorry to disappoint… but I do not spend my rehearsals flirting with cute choir boys. As a choir girl who takes herself way too seriously and is terrible at emotional multi-tasking, my attention is focused on the musical task at hand. I am often oblivious to the fact that people join choir expand their pool of suitable mates. Don’t we all just want to make music together? She’s not entirely wrong on this one. First question I get when I tell people I sing in a choir is “Do you sing in a church choir?” To which I provide my default response of “No, not a church choir.” It makes sense; chorister roles began in the church to deliver the religious message of God. Thus, it is not surprising that the prototype chorister image still engrained into society is that of the church chorister. However, there is such a wide array of choristers in the world: professional, community, chamber, show… it’s important to recognize the diverse role of the chorister and how it suits the musical construct of each group. Confession time: I love black gospel choirs. They are my choral rock stars. I wish I was black. I wish I could belt solos. And I wish I could uninhibitedly emerge from the choir with my arms above my head, gesticulate to an invisible overhead entity, and praise the lord in a Q&A format with the rest of the choir. Black gospel choir dreams aside, what I actually do as a chorister in my choir is sing early, classical, romantic, folk, and contemporary repertoire, tour to national and international music festivals, record diverse repertoire, and rehearse weekly with a dedicated group of singers. No matter what construct choristers find themselves in, we are all united with a common passion and a collective voice. As a result, I think that what we do, as choristers, is pretty awesome.